Paying less than the listing price for a house might seem like a pipe dream in some markets, but for savvy buyers who know what they’re doing, it’s a very real possibility. That said, making an offer that’s lower than the listing price can also be a dangerous game to play if you don’t know the rules: You could offend a seller, permanently blacklisting you from a home you love, among other potential penalties that plague low-bidding buyers. How low can you really go when making an offer? Of course, the answer to that question is “it depends” — on the market, the listing price, the home in question, the seller’s motivation, and how the property you’re bidding on measures up to others in the area. There’s no hard-and-fast rule about how low an offer can be before a seller accepts it, but there are some generally accepted guidelines for making an offer below the listing price that you should be familiar with before you try it yourself. If a house has only been on the market for a week or two, then a seller is pretty unlikely to seriously consider your lowball offer. A seller will typically only lower the asking price of a house after the property has been listed for at least four weeks, so expecting them to meet your lower offer when the house has been listed for less than ten days is unrealistic at best. When you’re shopping for a home, make sure you’re paying attention to how long it’s been on the market, measured as days on market. A seller with a house that’s been listed for three or four months will likely be a lot more receptive to your under-asking-price offer, and it’s possible you might get some other concessions out of the deal, too. In markets where homes are flying off the shelves (so to speak), an under-asking-price offer might not be at all realistic; you may need to wait for the market to settle down before you try it. Most people don’t decide to sell their home on a whim. There’s almost always an underlying reason why they need to sell and move. Maybe they’re downsizing; maybe the primary earner in the household lost their job; maybe they found their dream home but need to sell their current home before they can close on it. Whatever the case, they have an incentive to move, and if you know what it is, you can tailor your offer to sweeten the deal even if you’re not planning on paying the full listing price. How can you figure out the seller’s reason for selling? One of the best ways is to enlist the help of your real estate agent. Agents who have been working in the same area for a long time typically know the other agents, which means your agent may already have a relationship with the seller’s agent. Ask your agent to call the listing agent and talk to them about the home. You might be surprised by what agents are willing to reveal to each other, and it could really help you with writing a winning offer. The offer should include everything required by your state and municipality, and you can also talk to your agent about ways you can sweeten the deal that don’t involve the listing price. This might include giving the seller full control over the closing timeline, agreeing to pay for any necessary repairs that emerge during the inspection, or any number of other tactics that might make the offer more appealing to the seller in question. And if you know the seller’s motivation for moving out, you can make sure that the offer includes plenty of incentives that speak to their specific motivation. If the house isn’t in pristine condition, then you can probably assume there are issues the inspector might find that need to be addressed before the deal can close. And if you can accommodate those in your budget, it’s often smart to offer to pay for any repairs yourself. After all, the seller’s motivation will be to get the fixes done cheaply and quickly, whereas yours is to get a top-quality end result, so it might make more sense to offer to take care of it yourself if you can. Earnest money is pretty much exactly what the name implies: It’s a deposit of funds that shows you are in earnest about buying the house. This can come out of your down payment, but it’s delivered early to the seller as a good-faith gesture that you really do want the property and you’re willing to make some sacrifices to get it. Again, the seller’s motivation is going to be key: If you know that they’re in a financial position that means they need to move out sooner rather than later, earnest money can help them be more comfortable that they can make the move by helping them finance it before the closing happens. Some sellers ask for earnest money upfront, but if they haven’t, offering it can be a way to make the deal more appealing even if you’re not going to pay full asking price for the home. Depending on whether you’re getting a mortgage loan and the parameters of that loan, this may not be a realistic possibility — but if it is, then eliminating contingencies can help sellers decide that your lower-than-asking-price offer is still the best they’ve gotten. Some loans are contingent on things like an appraiser agreeing that the home is worth what you’re paying for it, which might not be an issue if you’re offering below asking price, but it can still give sellers confidence that the sale won’t be held up by a problem like that. Other contingencies involve the state of the house, which is usually assessed during a home inspection. If the inspector finds that the house is not up to code in some way, or that an important component needs to be repaired before it’s in tip-top condition, then telling the seller that you’ll still move forward with the deal (or pay for those repairs yourself) can be a good way to get in their good graces and encourage them to agree to your offer. We’ve all seen homes that were overpriced in our markets, and if you’re making an offer on a house that you know is priced higher than it’s really worth, you need to be ready to defend your lower offer and explain why it’s still a fair price for what you’ll get. This needs to be researched beyond the comps (comparable recently sold listings) in the area; most sellers and listing agents have already looked at the comps and know what they are, so presenting a list of comps probably isn’t going to get you very far. Instead, you need to dig a little bit deeper to explain exactly why those comps aren’t true apples-to-apples comparisons. Maybe many of the recently sold homes have a spectacular view of a natural feature, whereas the home you’re bidding on is blocked by other properties or development. Perhaps most of the recently sold homes in the neighborhood had fully remodeled kitchens and bathrooms, while the home you’re hoping to buy hasn’t been touched since it was built in the 1980s. If you can explain reasonably and clearly why you’re offering less than asking price — and do it in a way that’s fair and doesn’t insult the sellers or their agent’s intelligence — then you’ll have a decent shot at getting your lower offer accepted. This has already been mentioned several times before, but it truly is worth repeating. Selling a house is a time-consuming and often nerve-wracking experience, between cleaning, vacating the home for showings, negotiating offers, and wondering whether it’s ever actually going to sell. Some buyers want the sellers to fix every last little thing in the weeks between going under contract and getting to the closing table, and when you add that to packing up and moving a house, it can really feel overwhelming to a seller who just wants it to be over with. That’s one reason to offer to pay for any necessary repairs yourself, but another is that if this is a house you plan on owning for any span of time — especially if you’re going to live there yourself — then you want to make sure that the repairs are top-of-the-line. On the flip side, a seller will be more incentivized to find the fastest, cheapest repair option possible, just to get it out of the way and be able to say they did it. You might end up spending more money than they would, but it’ll be your asset at the end of the day, so it’s probably worth it to just go ahead and tackle the repairs yourself. It is not unheard-of for a seller to circle back with a buyer whose offer they’ve already rejected to ask if they’re interested in making another offer, so don’t discount this tactic — because sometimes it works, and works very well. Perhaps the seller had several other offers on the table that have all fallen through, or maybe they were under contract and the buyer walked away for some reason. Or it’s possible that the seller expected more, better offers to come flooding in after they received yours … and then they discovered that this expectation wasn’t exactly aligned with reality. Whatever the case, keep an eye on homes where you’ve already made an offer that’s been rejected to see what happens. If they go under contract and sell, oh well — but if they don’t, it’s quite possible that after 30 or 60 days of no offers, a seller might leap at the chance to take yours if you re-issue it (maybe with a few tweaks that make it an even better deal for you) after waiting them out. There are some circumstances under which a lowball offer is just never going to work. Think about some of the hottest markets in the country as an example: When a buyer is willing to pay seven figures for a teardown property in the San Francisco Bay Area just to have a lot to build on, then your lower-than-asking-price offer is definitely not going to get any interest from sellers. But there are many other markets and circumstances in the country where a seller could be receptive to your offer — depending on the timing, how it’s phrased, and any concessions you might be willing to bake in. Pay close attention to the real estate market in the area where you want to make an offer. If you see that the average days on market is getting longer and longer, that’s a sign that the market is shifting to more of a buyer’s market, which can work to your advantage. Shopping for a home in the fall and winter can also be advantageous when you don’t want to pay the full asking price; most buyers are most active in the spring and summertime, when there’s also a lot more inventory to pick and choose from; sellers in the “off” months might be feeling anxious, panicked, or even a little desperate to get an offer, any offer, so they can move on with their lives. Some sellers are going to be more receptive to an under-listing-price offer than others — but no seller wants to feel disrespected during the process. You can’t always control whether you’re submitting an offer to an oversensitive seller who thinks any offer that doesn’t contain the full asking price is an offense, but you can definitely manage how you phrase your reasoning for the lower-than-asking offer to minimize the potential that the seller is going to feel belittled or hurt. Talk to your agent about whether your offer price is truly a fair one given the current market and the condition of the home, and ask for their advice in writing an offer or counter-offer that articulates your points without disrespecting the seller. Nobody wants to work with someone they think is a jerk, and no matter how unwarranted that opinion might be, it’s best to err on the side of caution and be unfailingly polite and gracious through the process. You might think there’s no harm in just throwing an offer at the wall (so to speak) to see if it sticks, but a seller will definitely know if you’re simply ballparking a number instead of doing research to determine what you want to pay. Too many buyers who submit under-asking-price offers do it just to test the waters, but depending on the seller, a too-low price can be seen as insulting in and of itself — especially if the market is proving you wrong. Plus, it makes you look at least a little bit clueless and detached from reality, which aren’t qualities that most sellers appreciate in a buyer. Make sure you have thoughtful, well-researched reasons behind your offer price so that you can back it up with facts, and don’t succumb to the temptation to “just try it and see what happens” when the “it” you’re trying is an under-asking-price offer. It might be absolutely true that the seller’s asking price is above the amount that you’re pre-approved to buy from your mortgage loan company … but here’s a hard truth: Sellers really don’t care whether you, personally, can afford to buy their listed home. They might be dealing with their own financial difficulties, and there may be a certain amount of money that they must recoup to be made whole themselves. And do you care deeply about their monetary situation? Probably not, is another honest truth. So instead of trying to guilt-trip a seller by explaining to them that their home is out of your reach, use the offer to play on their needs instead of yours — or find a different house to buy. There are a lot of advantages to a cash offer that an offer financed by a mortgage loan isn’t able to accommodate, including eliminating some steps in the closing process (such as an appraisal or even an inspection), saving everyone time. But apart from saving time, what’s the advantage of a cash offer to a seller, who’s going to be getting a big, fat check from someone at closing whether it’s a cash-based or loan-based offer? Some sellers might be willing to shave a little bit off their asking price for the cash convenience, but an equal number won’t care a bean that you’re offering cash if you’re also expecting to pay significantly less for the convenience. If timing or the home’s condition is a big factor for the seller, then you might be able to offer considerably lower than asking if you can pay cash, but if their reason for selling is primarily financial, then most sellers are going to tell you to take your cash offer somewhere else. Negotiating a home sale is very often a back-and-forth process, so if the seller doesn’t immediately accept your offer and instead counters with a higher one, don’t take that as a sign that it wasn’t meant to be. This is just another step in the dance, and an invitation for you to sweeten the deal. If that’s not something you can do, then by all means, take your ball … er, offer … to a different playing field. But if you have some wiggle room either in price or other concessions you might be able to make, take the counter-offer at face value — as the next step in the negotiation process, not a deal-breaker — and either accept their counter-offer, or counter their counter with something that you think is fair to everybody. Real estate agents have seen it all, including unreasonable behavior from both buyers and sellers. And they are experts at negotiation; it’s part of their livelihood, after all! So if your agent tells you, “This offer is really far too low and is most likely going to upset the seller,” don’t assume that they’re just trying to protect a higher commission. 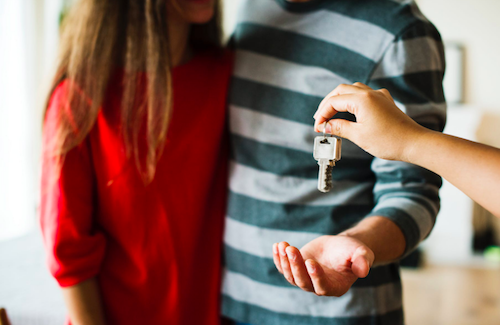 Getting you into a home you love is their top priority, and if what you’re planning to offer will sabotage that, it’s their responsibility to let you know. Don’t ignore them when they try to warn you that you’re about to burn a bridge with a seller. A seller who’s offloading a second home that was a vacation rental for years is going to have fewer problems with a lower-than-asking-price offer than a seller who’s been living in the house for decades and is leaving only under duress. If you don’t do a little bit of digging to find out how long the seller has owned or occupied the home, whether they raised kids or celebrated other life milestones there, and other factors that will definitely influence how attached the seller is to the house, then you’re shooting yourself unnecessarily in the foot. People always think their childhood home should be valued higher than it really is, and that might not seem fair to you — but what if you can communicate to the seller somehow that you have kids and plan to raise them in the house, too? That might be enough incentive for the seller to consider your offer, even if it’s not at full asking price. Any home sale is a negotiation, and price is only one of many factors open for discussion. If you really don’t want to pay full price for a home, there are definitely ways around it, but make sure you follow the rules of the game so that your offer has the best possible chance of being considered, even if it’s not immediately accepted. You never know — time might be on your side!